If you know your alligator shoes, you'll know that Mauri is the top of the top. 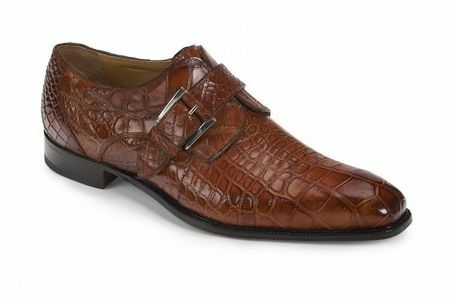 These Mauri gold alligator monk strap shoes are made of hand painted and burnished dark gold alligator skin. These dark gold alligator shoes are made in Italy of course and have that clean style that Mauri Shoes is famous for.